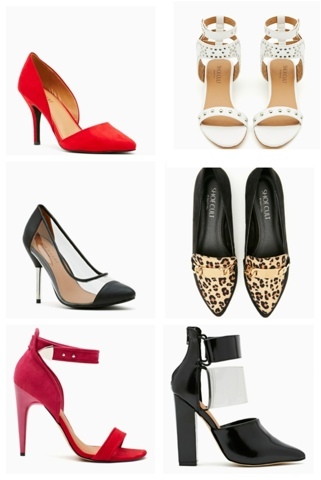 Nasty Gal introduced their very own shoe line on Monday and they did not disappoint. Being one of the most popular online retailers today, it was only time this happened. With a very dedicated set of twenty something followers, this was clearly shoe heaven to say the least. Known for their ever so stylish and affordable shoes, Nasty Gal cooked up a ‘Shoe Cult‘ of affordable replicas of fashion’s favourite it shoes. 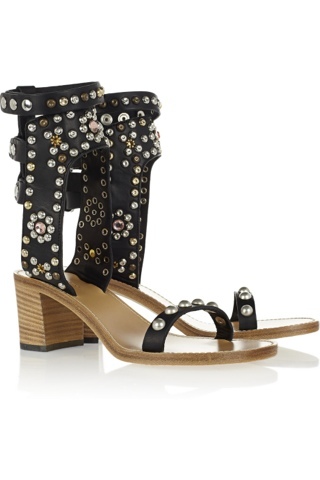 One of the most popular shoes amongst the fashion crowd right now is Isabel Marant’s Carol Studded Leather Sandal. Thanks to Nasty Gal us budget savvy gals can now rock the trend at a much more affordable price. Their Nymph Studded Sandal boasts the same studded detail and ankle strapping, which comes in both black and white. See the two below.